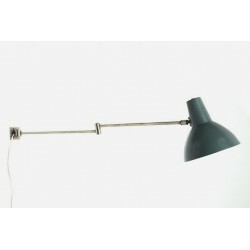 Beautiful wall lamp with blue shade from the fifties or sixties. 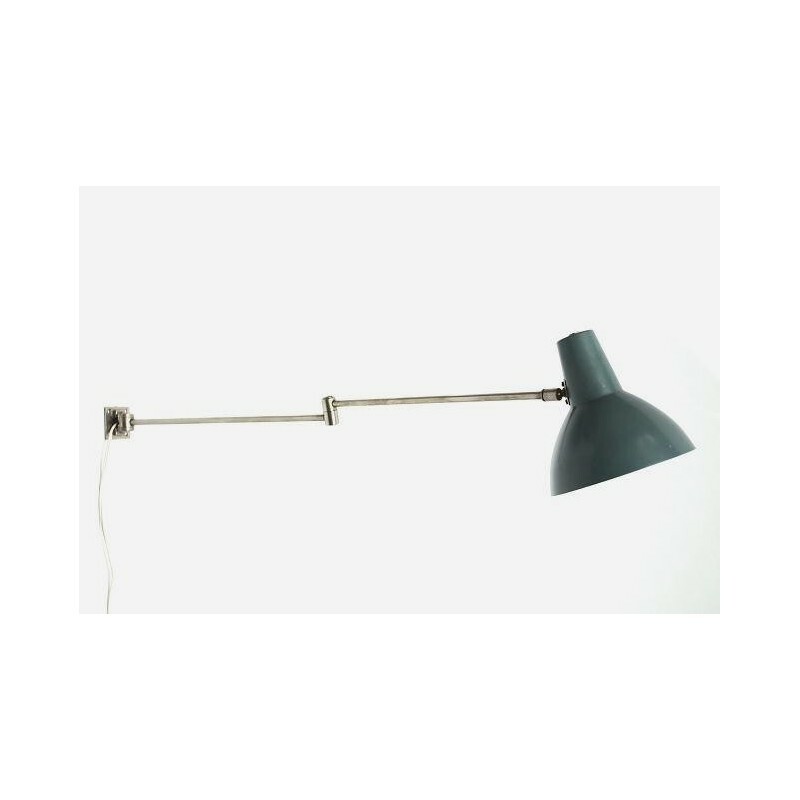 The lamp has an adjustable arm up to 75 cm, the cap is rotatable and has a diameter of 17 cm. The lamp is in a good condition.